Internet enables us to do things that only a few years ago would have been impossible to think. 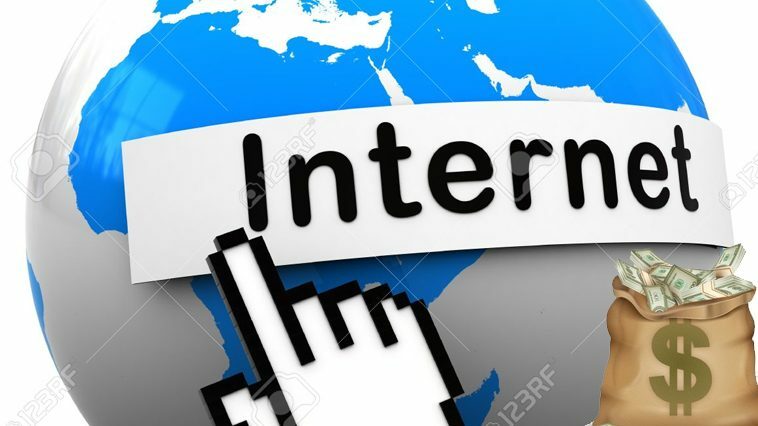 It isn’t too old but now internet works as a key catalyst in every facet of our lives. Internet is still developing and is continuously changing and still has got a long way to go. Everything we have seen up till now, is just the beginning of our amazing future. Internet has now become a tool that is available to fairly every citizen around the world. Yet what makes this internet even more amazing is the increasing capacity of its devices. Innovative technologies that enable broadband and mobile wireless internet access are at a faster speed continuing to advance. The internet is not only changing the way our brain works but it is also modifying the traditional ways of work. It has become an indispensable tool that people use today to generate more income. Nowadays, one stream of income is not enough. Financial security comes with financial freedom and it is only achievable with additional streams of income. Internet has created number of different ways for us to generate cash flow. Some of these ways may provide you income for doing something you are passionate about while some may pay you without your having to do much of anything at all. Following are the five ways you can choose in order to generate more income. The instant nature of social media has turned them into complete marketing channels. With the technological advancements, nowadays most of the customers are networking. Online social media provides a cost effective way to reach to your audience. By getting a website of your own, you can easily make a mark by writing articles or press releases. It will be good way to inform your audience about your sector and share your knowledge through upcoming stories and videos. You can easily make money if you take following possibilities into account. It is a program run by Google, you can generate revenue on either pay-per-click or per-impression basis. Small websites do not have the resources for develop advertising programs therefore AdSense helps them in generating revenue. It does not cost anything and it is a good way of increasing your income. YouTube Video/Facebook Feature: you can become a social media star because targeting your audience is much easier through YouTube or Facebook. These social media platforms are the most powerful tools that can help you to connect with a large number of people. But this strategy requires planning and if you want to earn money, you will definitely give it a go. With the evolution of internet, one must not forget the traditional ways of marketing. Companies and organizations used to post their advertisements in those magazines which were the best sellers of their time. You can take the same example for your website. These magazines have now taken digital forms and companies connect to the ones who are visited by a larger number of audience. In the same way, every website is known by its blogging. You can turn your passion for writing into a blogging career. The quality of your content will attract more and more companies to place their advertisements on your website resulting in increased cash for you. Internet has transformed our ways of learning and now teaching through internet has become extremely popular. You can teach languages you are good at e.g. French, Spanish, English, Arabic etc., you can teach cooking if you have cooking skills and knowledge, you can even teach the art of sketching through internet. All these hobbies will help you earn more cash at home. Nowadays the best ways of promoting a business is through internet. If you have the skill of developing apps, you can turn it into your professional career. Next generation is all about working on apps so you can make a lot amount of cash by developing apps of organizations and companies. Online games have become an obsession for many. Good players are rewarded with prizes for winning gaming competitions. If you are good at playing games and you know you can take your passion for games further, then sign up and make a team. Numerous websites offer prizes for staying ahead of the competition. If you have the good writing skills, you can make a living as a freelance writer. Due to internet, the opportunities for writing keep popping up all the time which never used to happen in traditional classrooms. But now you can write for magazines, online blogs etc. from home. It is a good way of earning money and improving your writing skills. Before starting with the freelance writing, it is better to work on some samples that you can present to your clients. You can write blog posts and articles in this regard. In freelance writing, clients approach you through emails or Skype, so it is important to have a computer and a fast internet access. Freelance writing jobs can be easily found on freelance marketplaces such as UpWork, Guru, Freelancer.com etc. These are the popular platforms that can get you projects to work at and earn cash for every article. Call centers do everything from assisting people with customer service complaints to making telemarketing calls. They are always looking for people who have command over certain language. They require individuals who are fast in answering a phone and can solve customer issues. These call centers provide their services 24 hours a day, calls of customers to the call centers are directed to workers who answer to these calls from home. In this way, workers earn money by working remotely. It is better to do your market search before accepting the job offer. There are many frauds that are working alongside the real call centers. So always search for authentic ways to get a position in the call center. Working with a call center requires you to own tools such as computer, earphones, a landline phone, and a fast broadband. These will increase your speed and will make you an efficient worker. Multi-tasking is the ability that is most important when it comes to working in call centers. Call centers are often bombarded with calls at a time so you must stay active in answering each and every call. You can turn your creativity into your career. Being an artist is not linked to lower incomes anymore; passionate people are earning loads of cash by just selling their creativity. The trend of selling homemade and antique products is on the rise. There are many websites that are selling art, food items, designer outfits etc. through internet and are making a name in the market. To get started with marketing your product, you need to know the following. Before starting to sell your product, it is better to research the already existing brands that are already successfully working in this field. See what the trend is and try something unique to start on. By looking at the website, you will have an idea how many options the brands usually offer. Try to give more options to your customers with a variety of products for sale. People are usually choosy when it comes to buying stuff, so offer them a good variety to choose from. People choose the products which are presented more clearly and beautifully so place photographs of every product. Allow them with the option of viewing the product by maximizing it. This will make you as a reliable brand. Just do not stick to selling of the product, try to promote and grow your business at the same time. Write blogs for your website and make it a best seller brand. Previous article He was turned down for a job at Facebook. $3 Billion Judgment error.